“Piano players do it.Segovia does it”. | Bob's Jazz Blog. “Piano players do it.Segovia does it”. “Piano players do it. Segovia does it !”. That’s what Norman Granz said in 1973 to guitarist Joseph Anthony Jacobi Passalaqua” who was somewhat reluctant to record an album with solo jazz guitar. 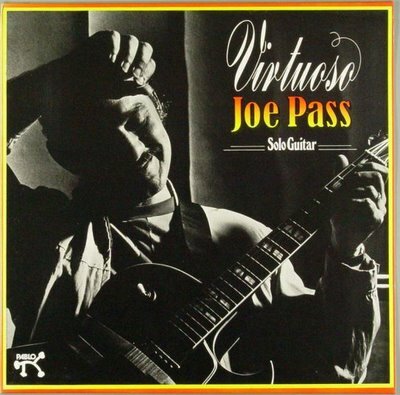 Joe Pass, as he was called, had behind him a life of heroine addiction and spent years in hospitals and a rehabilitation facility when in 1972 he got a visit from Norman Granz and Oscar Peterson when he worked in Donte’s, a jazzclub in Hollywood. Both men were highly impressed by Pass’s command of the instrument and his inventive melodic approach. Granz contracted Pass for his just founded Pablo label and had him record the “Virtuoso” album in three days. It became one the label’s all-time top sellers. Peep this video and listen to Joe Pass’s formidable musicianship. « ” I Just Do Whatever Norman Tells Me To Do”.